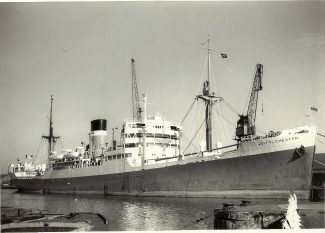 CITY OF CHESTER was built in 1944 for Ellerman Lines (known as the city boats). Could you tell me please what year this picture was taken as I travelled on the City of Chester from Calcutta, India to the UK arriving at Tilbury Docks in 1956. I was 9 years old then. If you can help thanks in advance…………..